A root canal requires one or more office visits and can be performed by a dentist or endodontist. 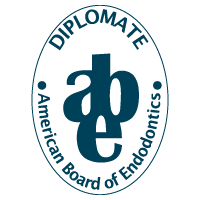 An endodontist is a dentist who specializes in the causes, diagnosis, prevention, and treatment of diseases and injuries of the human dental pulp or the nerve of the tooth. The choice of which type of dentist to use depends to some degree on the difficulty of the root canal procedure needed in your particular tooth and the general dentist’s comfort level in working on your tooth. Your dentist will discuss who might be best suited to perform the work in your particular case. The first step in the procedure is to take an X-ray to see the shape of the root canals and determine if there are any signs of infection in a surrounding bone. Your dentist or endodontist will then use local anesthesia to numb the area near the tooth. Anesthesia may not be necessary, since the nerve is dead, but most dentists still anesthetize the area to make the patient more relaxed and at ease. An access hole will then be drilled into the tooth. The pulp along with bacteria, the decayed nerve tissue and related debris is removed from the tooth. The cleaning out process is accomplished using root canal files. A series of these files of increasing diameter are each subsequently placed into the access hole and worked down the full length of the tooth to scrape and scrub the sides of the root canals. Water or sodium hypochlorite is used periodically to flush away the debris. Once the tooth is thoroughly cleaned, it is sealed. Some dentists like to wait a week before sealing the tooth. For instance, if there is an infection, your dentist may put a medication inside the tooth to clear it up. Others may choose to seal the tooth the same day it is cleaned out. 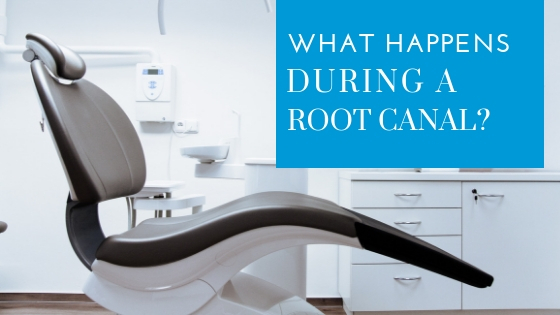 If the root canal is not completed on the same day, a temporary filling is placed in the exterior hole in the tooth to keep out contaminants like saliva and food between appointments. At the next appointment, to fill the interior of the tooth, a sealer paste and a rubber compound called gutta percha is placed into the tooth’s root canal. To fill the exterior access hole created at the beginning of treatment, a filling is placed. The final step may involve further restoration of the tooth. Because a tooth that needs a root canal often is one that has a large filling or extensive decay or other weakness, a crown, crown and post, or other restoration often needs to be placed on the tooth to protect it, prevent it from breaking, and restore it to full function. Your dentist will discuss the need for any additional dental work with you. If you have questions about root canal treatment, and the new technology that can improve your root canal, CONTACT US to schedule a consultation with Dr. Shawn Velez!